Craving a hoagie? Now you can get one without having to leave your bed. Pennsylvania-based convenience store Wawa and food delivery service GrubHub have teamed up to bring hungry customers all the Shortis, macaroni and cheese bowls and milkshakes that their hearts desire. The service is currently extended to just four locations, including two in Philadelphia and two in the Philadelphia suburbs. Wawa introduced the partnership on its Twitter account Friday and said it intends on adding the delivery service to more stores in the near future. The company says that GrubHub will only be offering a limited menu from what customers may be used to at their local store, but online options for the service show a wide-range of items available for order including Wawa's Gobbler sandwiches and Jacks Link's beef jerkey, Wawa brownies, cartons of eggs and packs of gum. Orders must reach a $10 minimum. GrubHub's delivery fee is $1.99. It's not clear how far the delivery boundaries are set. The service will only go until 11 p.m., PhillyMag reported. 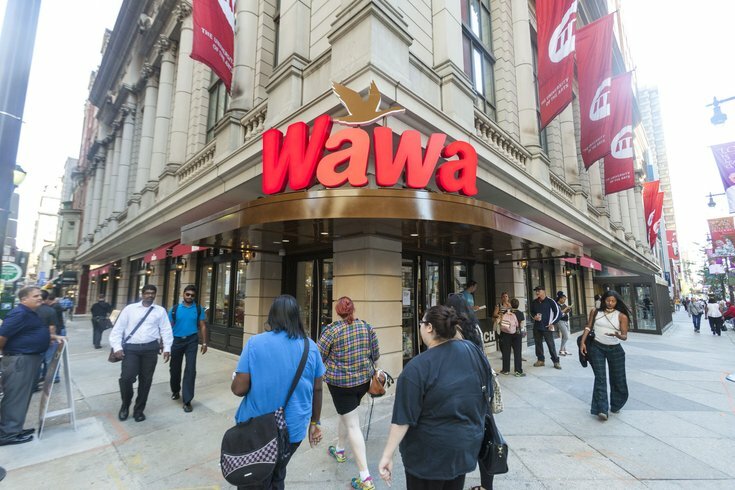 The partnership also comes just months after Wawa debuted mobile app ordering.